Looks good and make you look rich. 2006 models with increased power vastly better cars. 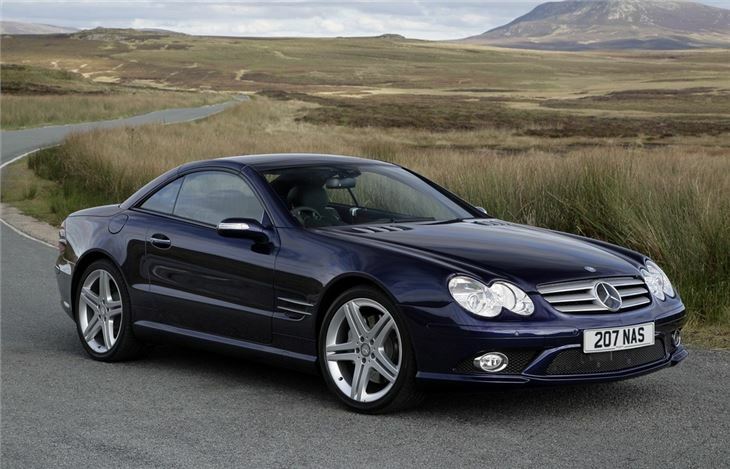 388hp 500SL plenty fast enough and makes a nice noise. 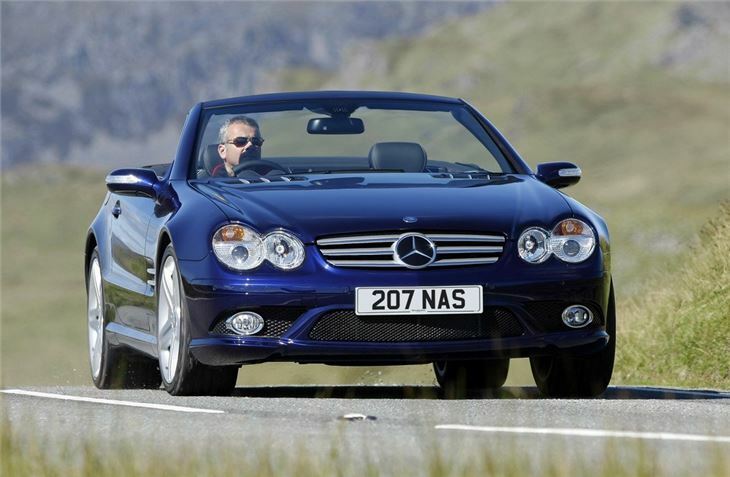 2002-2005 cars still a bit vague to drive and prone to expensive faults. 5 stars is for hugely improved 2006 model SL500. 3 stars otherwise. Best to steer clear of 2002-2005 SLs. Forget Ferrari, Rolls Royce, Bentley, Lamborghini and Porsche. 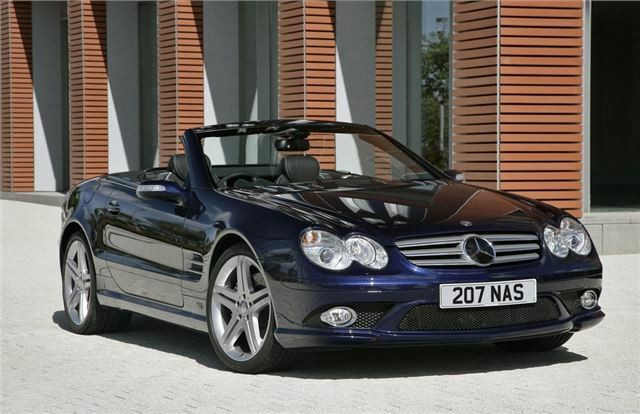 The most desirable car you can buy is the new Mercedes 500SL. 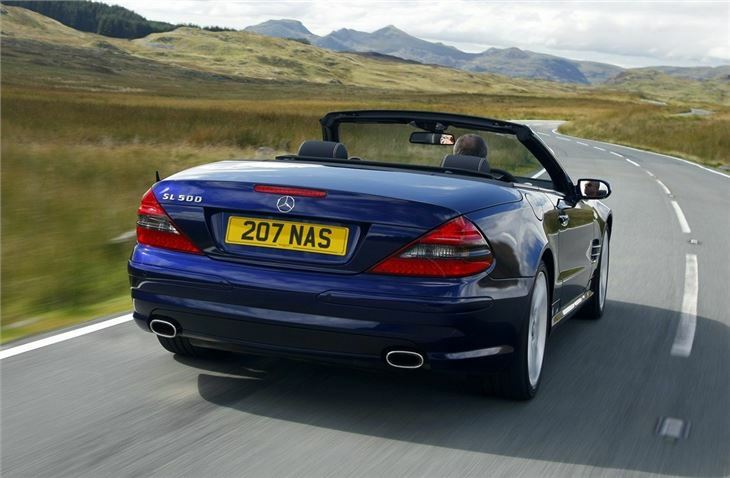 Wherever you happen to be, no other car impresses most of the people most of the time. It's the one car the world over that says you've arrived before you even start your journey. So what's it like to drive? Fantastic, obviously. 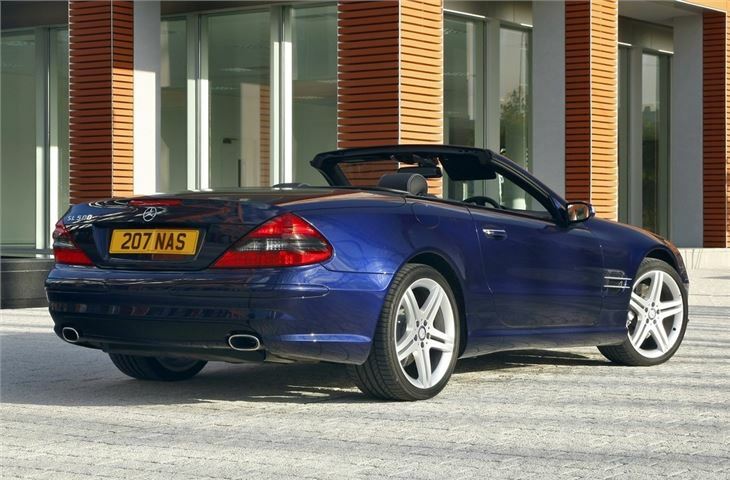 A five-litre V8. Three hundred and six brake horsepower. A silky but overrideable five-speed automatic transmission. And probably more technology than a Space Shuttle. ABC, SBC, ABS, BAS, ESP, ASR. You have to abbreviate to get them all on the page. Just to be boring for a moment, SBC or Sensonic Brake Control is a world first. The brake pedal is not mechanically connected to the brake servo. Instead it merely feeds messages to a control box which sends electronic signals to the microprocessor which organises the braking. It feels exactly like conventional braking, until you do something stupid, at which point the SBC and all the other control systems save your life. Mercedes, these days, build almost uncrashable cars. To further guarantee your survival you can order DCC or Distronic Cruise Control. This involves fitting a radar scanner behind the three-pointed star on the radiator grille and stops your car ever getting within its effective braking distance from the car in front. 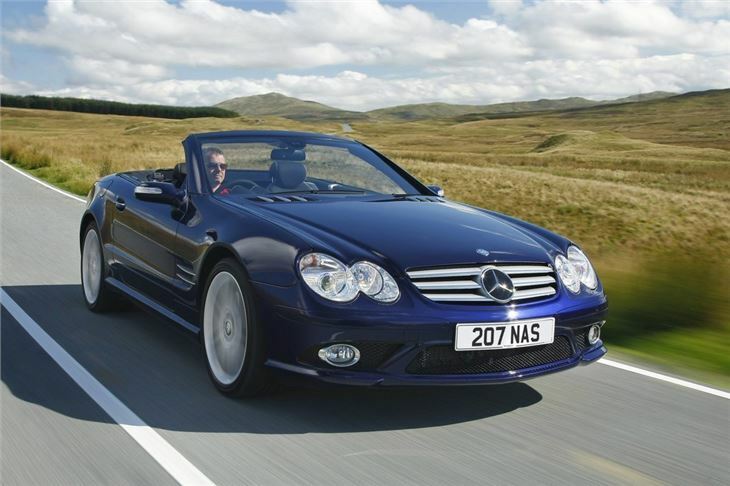 People used to drive Mercs using the three-pointed star on the bonnet to home in on the car in front. Now the three-pointed star homes you out. everything I want in a car, I love it. Everything I expected. And more.